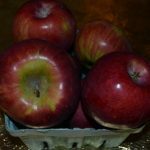 We are starting to get a larger selection of organic apples. 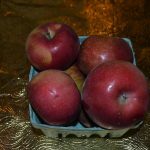 We now have in both small and large quantities a good variety of apples. 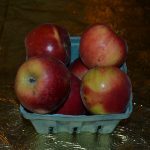 At the present time we have Macintosh, Gala, Crimson Sweet, Courtland, and a few Honey Crisp. Many more varieties will be coming soon. 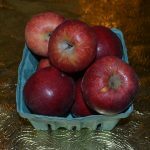 Like Macoun, Empire, Jonagold, crimson gold, enterprise, northern spy, nova spy, winesap, red delicious, shieuka, and a few others. Let us know if there is a special kind you are looking for. We can supply you with 1/2 bushels if needed for all your baking, canning, or eating needs. 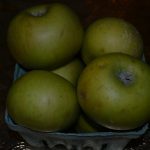 We make applesauce, apple butter, and apple juice by mixing when fully ripe a large variety of these apples. Most of the time you need very little sugar if any with when making things like applesauce. Call us today at 570-854-1708 to place your large order or stop by to pick up a few.